We are a Cosplay Dance Group! We cosplay Love Live! We sew all of our clothes by ourselves.We also do cosplay photoshoots. We learn choreographies and we go to competitions. So far we have won third place twice in a row. We have been a group since march 2017. Our group consists of 9 girls. We have set up this patreon because we plan on doing better and more intricate cosplays in the future, but materials cost a lot, and most of our members are underage without many funds. If you could support us we would be very grateful so we can carry on making cosplays! To create the Universe set from Love Live! 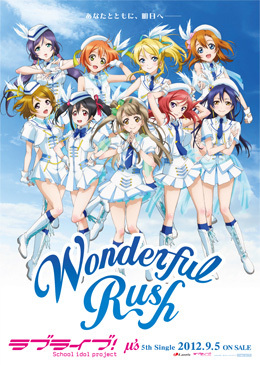 We will also be doing Wonderful Rush! We will be dancing in this set. Its easier to move in the cosplay and it is beautiful.